Book your hotel stay with special room rates at The Orleans Hotel & Casino. 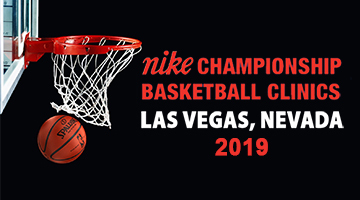 The Nike Championship Basketball Clinic returns to the Orleans Arena May 17-19! "The Largest Clinic In The World" will feature sessions with Gonzaga Head Coach Mark Few, Grand Canyon Head Coach Dan Majerle, North Carolina Head Coach Roy Williams, and many more!